Teach with us! Class sessions at participating special collections libraries and archives can range from surveys of faculty-selected collection material to sessions for which our staff provide guided explorations. We are also happy to support students through assignments which require engagement with our collections. Bring your class in for an hour or schedule several visits for in-depth investigations of archives, manuscripts, maps, rare books, and more. NOTE: general library instruction sessions are scheduled separately through Ask a Librarian. 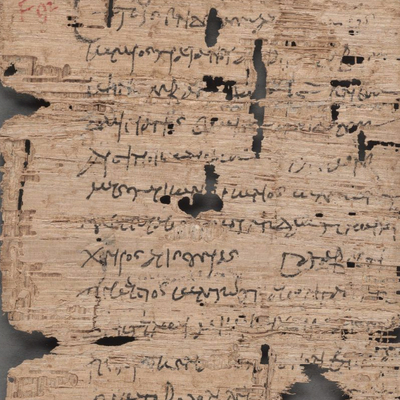 Bill of sale for a donkey, papyrus, MS Gr SM2223, used in Harvard's HUM 10a. Are you a special collections library/archive at Harvard?